As I’ve collected my Christmas decorations over the years, I always keep my THEME in mind. As you can see I used a lot of natural textures on my tablescape: burlap table runner, wood trees, pine cones, etc. 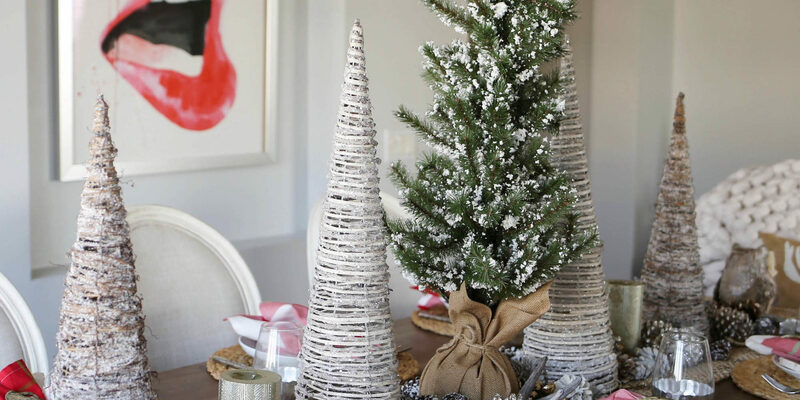 To add in a lil’ chic element to the pinecones and antlers, glitter and/or metallic paint is the perfect touch. You can DIY these babies pretty easy or many retailers already sell as is (see options below). 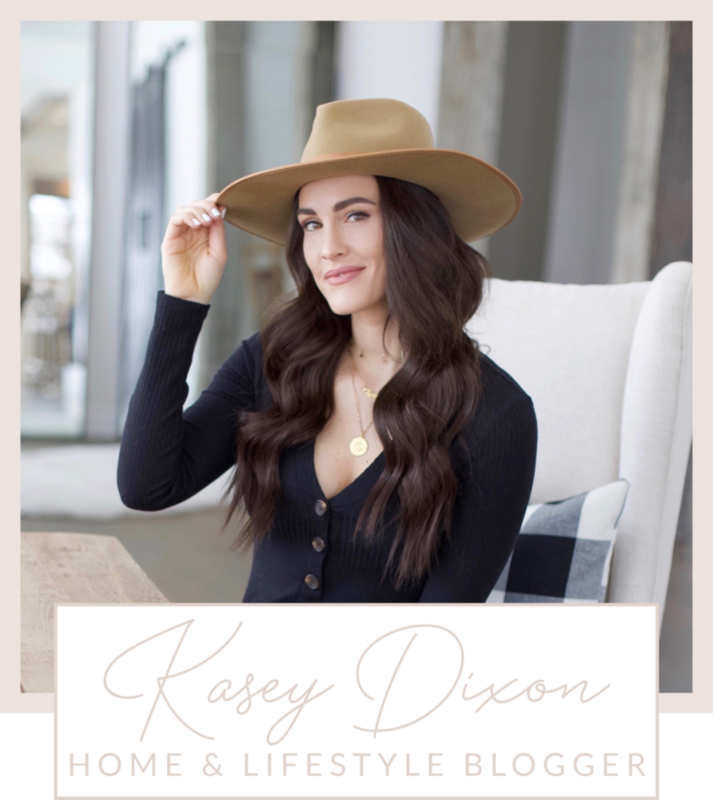 I dress very similar to the way I decorate my home – neutrals with MAYBE a pop of ONE color. Take a peak at my table… what’s the ONE color? RED it is! I found these cute plaid napkins and knew they would be the final touch to the perfect holiday table. See below for shopable links to all of my rustic-chic tablescape decor. And boos, remember to select a theme before decorating! Trust me, it helps! Share the post "Rustic-Chic Holiday Tablescape"